Up your home cocktail game!|| One attendee spot for the date listed. Please see below for class details and policies. 7:30 - 9:30 at our shop - 69 Holland Street in Davis Square. Is there a formula for making good cocktails? In our hands-on workshop, you will learn the answers to these commonly asked questions, and the basic techniques for making craft cocktails at home. You'll be guided through shaking, stirring, measuring, juicing, garnishing and more! You will have the opportunity to practice these techniques and enjoy the fruits of your labor. 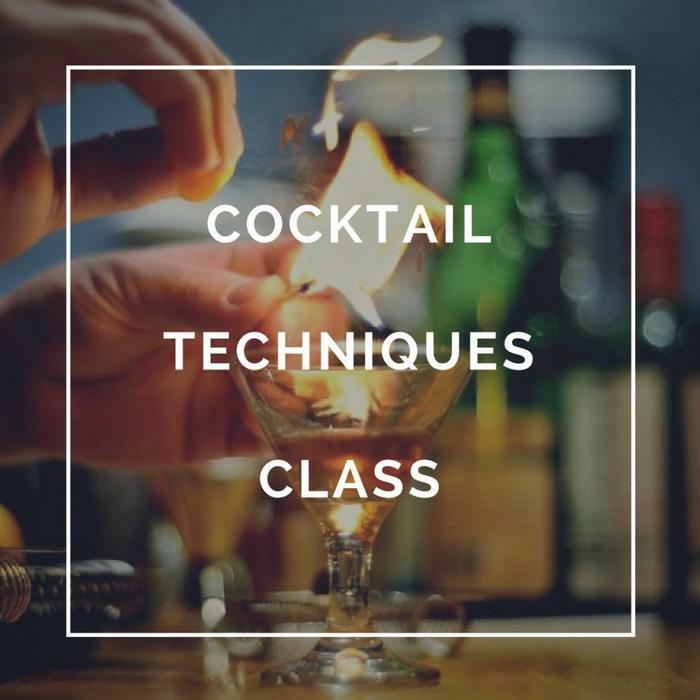 This combination of hands-on instruction, practical application, and real-time feedback will allow you to walk away with the foundational skills and confidence to create delicious cocktails for yourself, friends, and family. Attendees receive a coupon for 15% off one purchase, so you can pick up any gear or ingredients you need to start mixing better drinks! You’ll be enjoying cocktails provided by local distillers like GrandTen, Privateer, and others. For "Out of Stock" classes: To be added to our waitlist for an upcoming class, please contact us via email or phone with the names of attendees to be waitlisted, date of class, and best number to reach you. Payment will only be required in the event that space becomes available, and we are able to contact you to confirm your attendance. For more detailed information, including class policies, please visit our Classes Information Page. If you would like to purchase a class using a Boston Shaker Gift Card, please call the shop and one of our associates will take your Gift Card number(s), apply it to the desired class date and email you a reservation confirmation. *There are no tickets shipped for classes - just bring yourself and comfortable shoes. Unfortunately, due to technical limitations we cannot remove automatic shipping charges. Please choose In-Store Pick on the shipping screen or view your cart and enter the DISCOUNT CODE: CLASSNOTSHIPPED, to remove the $2.66 USPS fee.